We currently have hoodies, polo shirts, baseball caps and beanie hats for sale. 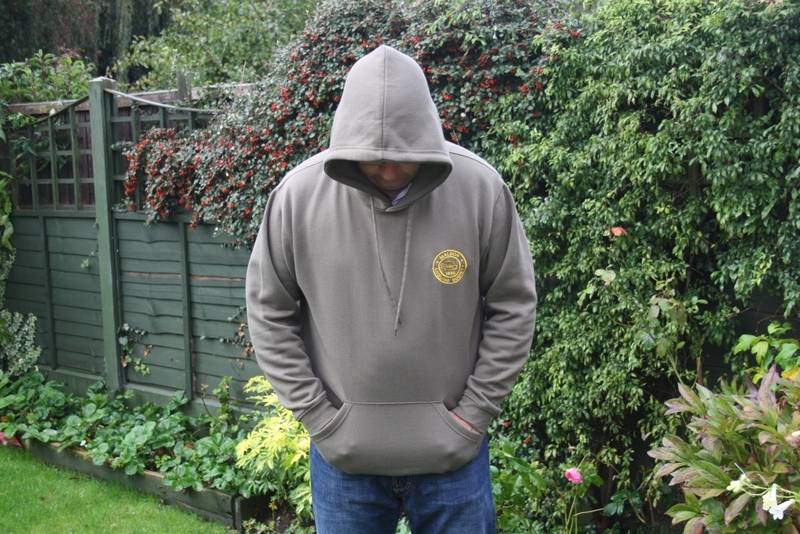 Hoodies cost from £20 and have the society logo embroidered on the chest. 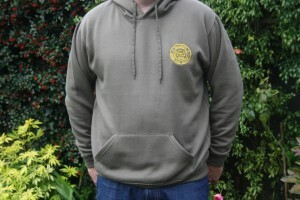 The Maldon AS logo is attractively reproduced in black and gold thread on the hoody. Quote from the Oct-14 committee meeting – ‘My Maldon AS hoody is already my favourite hoody as the lining is really soft’ – Sam. View from behind (please note that our model is NOT taking a leak in this photo). 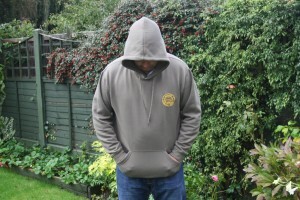 The hoodies are very warm and feature a hand warmer pocket and spacious hood. We have a number of hoodies (all in this colour) available from sizes Small to XXL+ (new stock acquired in Sep-15). S-XL cost £20 and XXL+ cost £22. Please contact Grahame or Phoebe Stuart for more info. The beanie hats with Maldon Angling Society embroidered along the front cost £8 each. Prices of other items on request.